Expensive accommodation and facilities, a variety of pricey food, foreigners outnumbering the locals are among the hearsays I’ve been hearing about the Island of Malapascua. I’ve done my own research and, truth to be told, found nothing much to see on the island except its beaches and diving sites. Thus, it remains a mystery to me. I should visit this part of Cebu to shut-up my mind bugging me to check-out what it has to offer tourists. It did happen earlier this month when some friends planned out to explore the island with new friends. What’s in store for us on the island? Let’s find out. 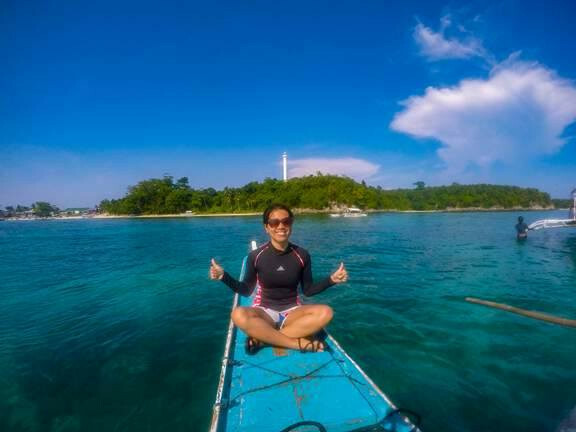 Located in the northern part of Cebu, Malapascua Island has attracted foreign tourists especially divers, hence its designation of travelers as an island favorable for divers. 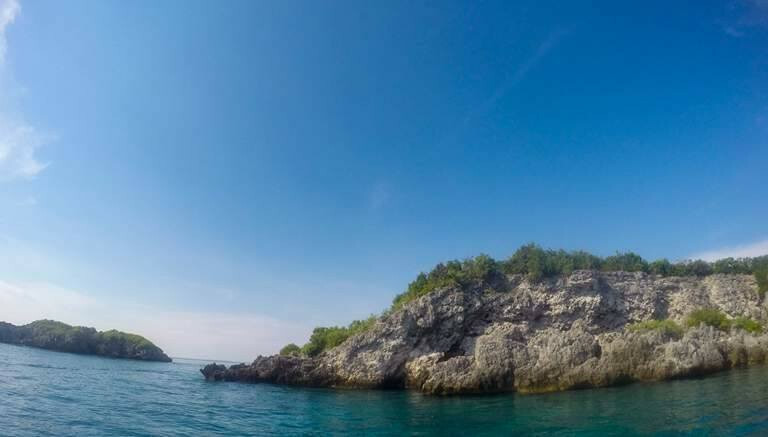 Notwithstanding its length or 2.5 kilometers and breadth of 1 kilometer, the island is reputable for its submarine walls, underwater shoals, and coral gardens. No wonder divers anywhere in the world come here to see huge manta rays and thresher sharks. However, diving is not the sole activity on the island, it is also ideal for a laid-back vacation with its picturesque destinations and fun activities for everyone. 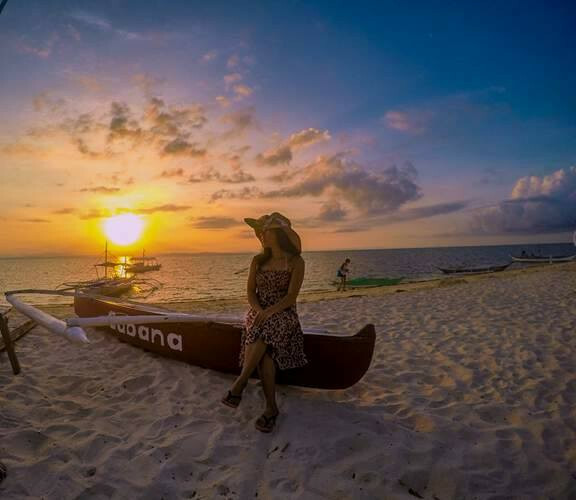 What to do in Malapascua? Since I am not into diving, let’s focus more on other activities we can do around and on the island. As we arrived at the island, we prepared and ate lunch. Excited to start our short visit, we then rented a boat taking us to different tourist spots around the area. Big waves never hindered us from seeing the magnificent offering of Mother Nature. There are stunning rocky seaside cliffs, which may be inviting, but the boatman says getting near them is dangerous with rippling motion caused by the convergence of deep and shallow water. 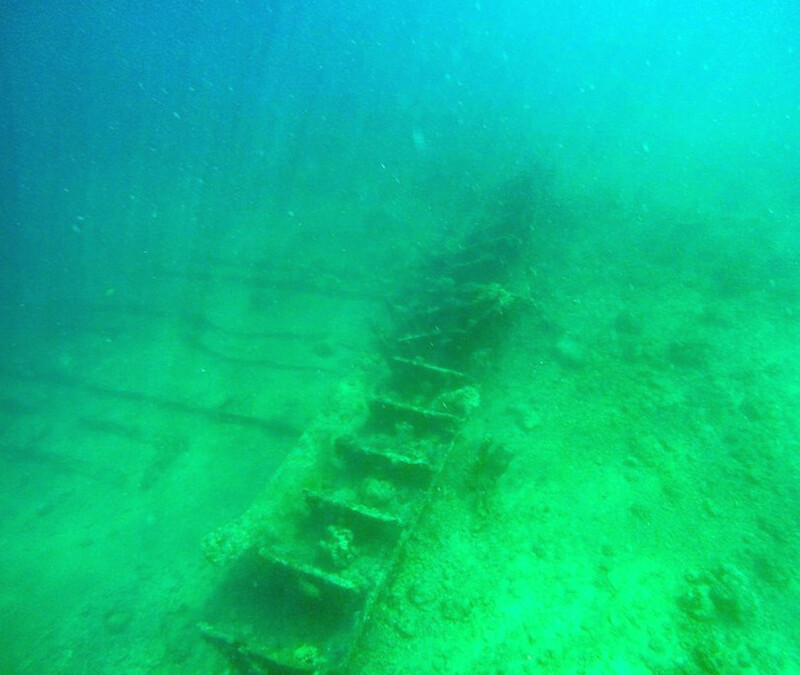 Some of my friends snorkel at the sunken WWII Japanese submarine chaser Mogami. Snorkeling can also be done at the coral garden area, but with a certain cost. This is also the spot where you can have a glimpse of the Malapascua Lighthouse. We headed to Bantigue Beach where we spent most of the afternoon before going back to the island. Just did some photo-ops, chitchats, swimming, and relax for a long day trip. We also found a little cave here housing Sto. Niño statues. On our way back, we passed by the underwater paradise of Coral Garden. The garden is said to have large schools of fish and healthy corals, making it a great place for snorkeling. Non-divers like us would definitely choose to swim the blue ocean water of the island. Its wide, white beach shores will allow you to just lounge as most foreigners and locals do. There are also secluded coves with lesser tourists where you can swim. 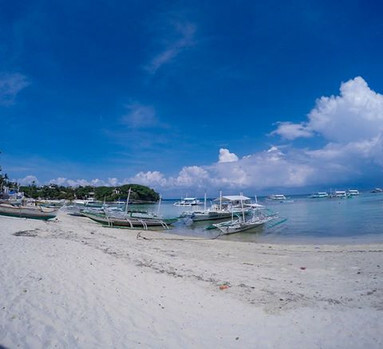 With the increasing number of tourists each year, resorts in Malapascua also grow. Some of the resorts have restaurants offering different cuisines. You actually have a variety to choose from, depending on your appetite, and of course, your budget. Most of them will really cost you higher. I’ve observed that most resorts here offer diving courses mostly for foreigners. Even the open massage on the beach is quite expensive for 500 pesos in an hour, for us Filipinos at least. 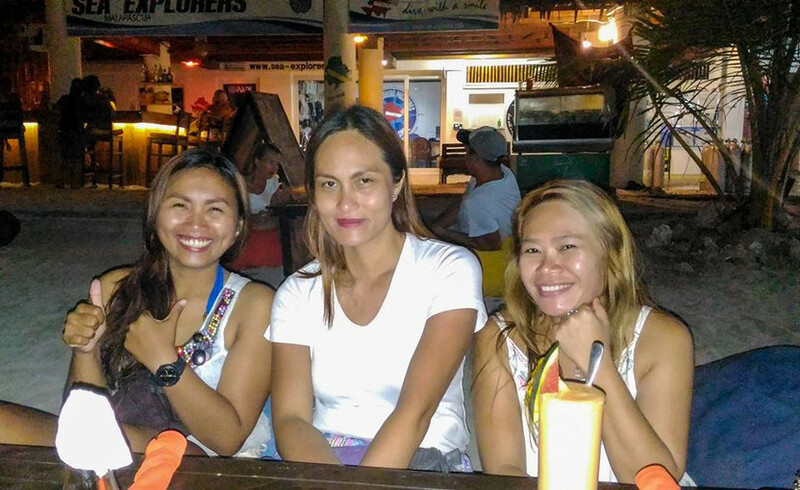 Planning to fine dine at Kokays Maldito Dive Resort, but we ended up at Oceanvida with its romantic ambiance by the seashore. The main cuisine here is European though they also offer Asian and others. The service is good except for a friend’s order that took us to finish our food before it was served. Anyways, the owners were very accommodating and the food is sumptuous and big enough for small eaters like me. Wanted to eat something sweet and cold for the warm temperature, we bought a scoop of gelato for 70 pesos while walking back to our accommodation. Most of the households and resorts in the island used generators for electric supply, and it was blackout. 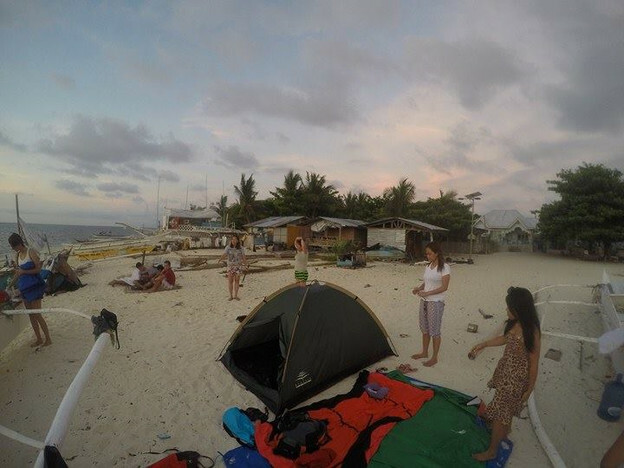 This left us no choice but to pitch our tents and lay our mats to spend the night at the beach. It’s too warm some preferred to sleep outside the tent. I can still remember how the stars lulled me to a deep sleep that I wasn’t able to notice noise from fishermen at dawn. How can you not rise and witness the magnificent, sweet greeting for a beautiful day ahead? Always thankful for the greatest gifts God bless us always. We are so lucky to spare our expenses for accommodation as we stayed at the house a friend’s friend. Good choice as it allows us to live like locals of the island. We could have chosen to experience the luxury of resorts, but we might just miss the feel of what’s it like to be an Islander. Our host is so accommodating that they will prepare even the water we will use to wash-up and the food we will eat. • From Cebu North Bus Terminal in Cebu City, take a bus or van bound for Maya Port in Daanbantayan. 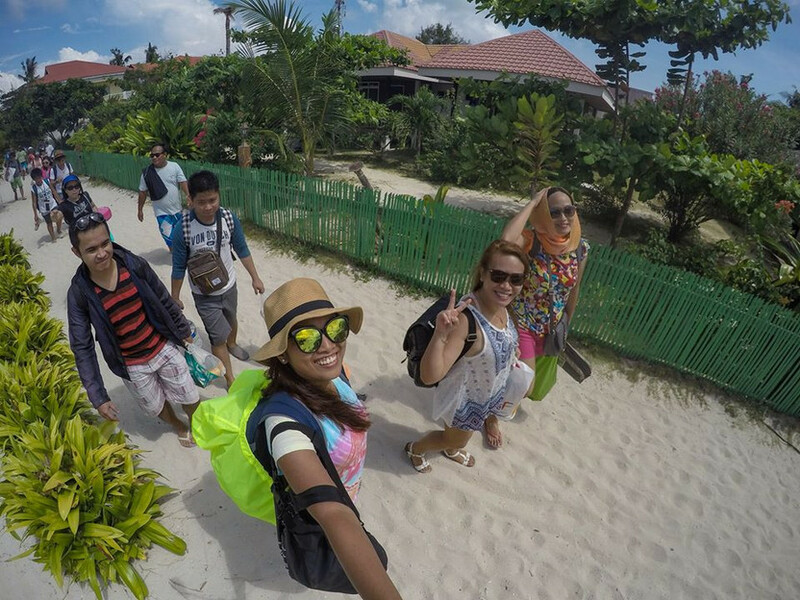 • Go onboard a ferry from Maya Port to Malapascua Island. Keep posted that Ceres buses will stop at the new port while the others will stop at the old port. • Know the changing bus and ferry schedule before your planned travel date. This would save your travel time. • Have your gadgets fully-charged or bring power banks since you will be exploring outdoors in most of your stay in the island. Don’t miss worth-capturing moments then. • Keep yourself hydrated when going out since it’s summer and temperature is typically high. • Explore and meet locals and other tourists for some great deals and tips while wandering. • Be always reminded of every traveler’s creed to take nothing but pictures, leave nothing but footprints and kill nothing but time. Help preserve the beauty of the island so generations to follow will still experience what this paradise can offer. 5:00 AM – Wakeup Call, Sunrise Watching, Swimming, Photo-ops, etc. 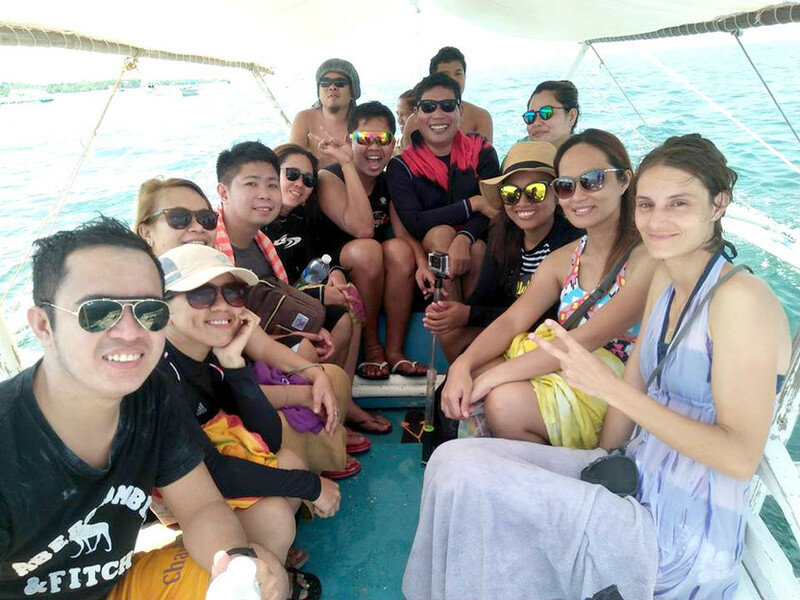 Pingback: Malapascua Island (North Cebu) From The Eyes Of Non-Divers - Asa Ni Quen?